A major aircraft manufacturing company. Junkers produced some of the world's most innovative aircraft & aero engines. The Jumo-004 powered the Messerschmitt Me-262 jet fighter, Arado Ar-234 jet, & prototypes of the Horten Ho-229 flying wing. Junkers became famous for its pioneering all-metal aircraft. During the war, Junkers produced some of the most successful Luftwaffe planes, as well as piston and jet aircraft engines. The advanced German submarine U-234 made an attempt in 1945 to deliver a cargo of high end, top secret technology to the Japanese Empire which never made it to port. 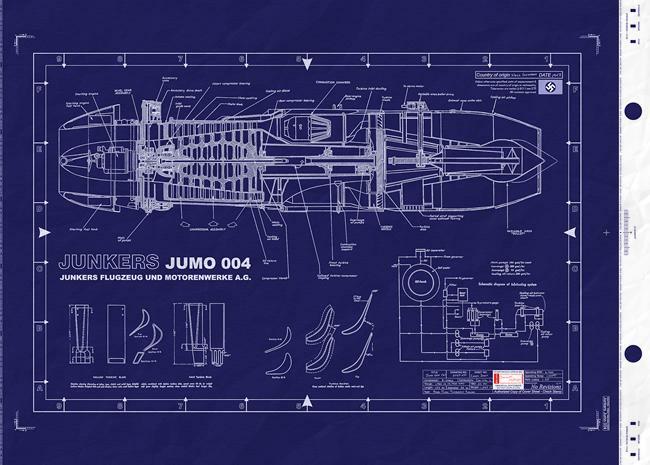 —within this cargo were complete technical drawings and examples of the Junkers Jumo 004 turbo jet engine. This axial-flow turbojet powered the world's first operational jet fighter, the Me 262… and later the world's first jet-bomber, the Arado Ar 234. Continued from above… The original 004 A model flew for the first time in 1942, but it was not yet suitable for production because it was too heavy and used alloys in short supply in Germany. 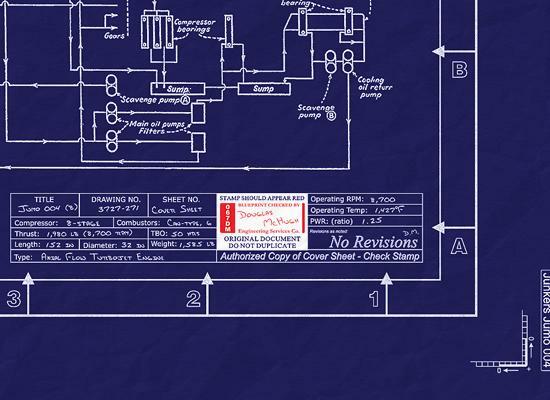 The 004 B production model was easier to manufacture, weighed less, and used air cooling for the combustor, turbine blades, and exhaust nozzle. 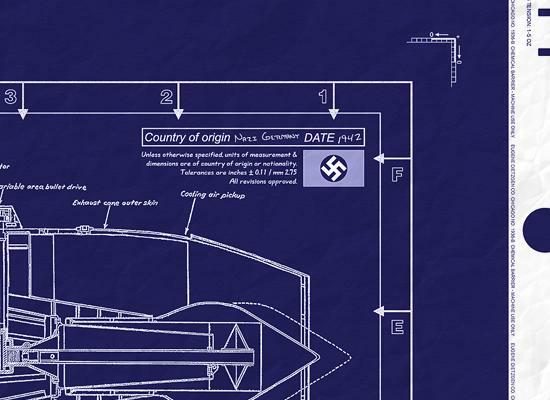 The engine powered the Messerschmitt Me 262, the first operational jet fighter, and the Arado 234, the first operational jet bomber and reconnaissance airplane. Volume production of the 004 B began in early 1944. 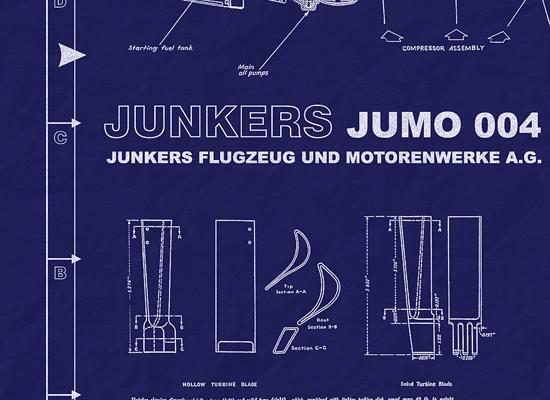 Junkers manufactured nearly 8,000 Jumo 004 engines by the end of World War II. Jumo 004 engine - Design variables and the arrangement of blades on the eight-stage axial flow compressor is shown being investigated at the Aircraft Engine Research Laboratory of the National Advisory Committee for Aeronautics. October, 11th 1940 - The first test run of the engine was performed. The first flight was performed on March, 15th 1942 onboard a Me-110 and on 18th July 1942 the first Messerschmitt Me 262 was equipped with the new engine. Left: One interesting feature of the 004 was the starter system, which consisted of a Riedel 10hp 2-stroke motorcycle engine hidden in the intake. A hole in the extreme nose of the center-body contained a pull-handle which started the engine, which in turned spun up the engine. Two small gasoline tanks were fitted in the annular intake. Apart from the Me 262 and Arado Ar 234, the engine was used to power the experimental Junkers Ju 287, and prototypes of the Gotha Go 229 and Heinkel He 280. There were plans to install it in the Heinkel He 162 as well as the Focke-Wulf Ta 183 and Henschel Hs 132 then under development. Following World War II, Jumo 004s were built in small numbers by Malesice in Czechoslovakia, designated M-04 to power the Avia S-92 , itself a copy of the Me 262. 004 copies were also built in the Soviet Union as the RD-10 engine , where they powered the Yakovlev Yak-15 as well as many prototype jet fighters. The Junkers Jumo 004 - The most famous of all the German gas turbines, was backed by between 25,000 and 30,000 hours of bench-testing. When Germany collapsed nearly 8,000 units had been made and production was at the rate of 1,500 per month. The ultimate target was 3,000 per month. It was claimed the efficiency of the compressor was 85 per cent and of the turbine 79 per cent. To cool the turbine blades and guide vanes 7 per cent of the compressor output was diverted. After 30 hr service the whole power unit would be stripped for cleaning and overhauling of the compressor and for detailed inspection of the turbine wheel and combustion chambers. This work was remarkably simple and very economically carried out by women (and also slave workers). On about half the number of units overhauled a number of compressor rotor and stator blades needed replacement, due to damage from foreign bodies passing through the unit. Turbine blades were frequently cracked as a result of overheating occasioned by unskilled handling on the part of the pilots. It was asserted by the Junkers firm that a new engine could be assembled in 50 man-hours and that a complete overhaul required 100 man-hours. The Jumo 004 has an eight-stage axial-flow compressor and a large diameter single-stage turbine. The compressor casing, divided on an axial plane, is of cast magnesium, and stator blades are assembled in half rings and bolted into each casing half. The duralumin blades of the compressor are dovetailed into staggered grooves on the periphery of light-alloy discs and are fixed by grub screws through each root. Stagger of the blades increases and the chord decreases in successive stages through the compressor. Entry guide vanes and first row of stator blades are of fairly thick aerofoil section light alloy, the second stator row being of thinner section, and the remainder of cambered sheet steel. The rotor is built up with two steel shafts attached to the outside faces of the first and last discs. The front compressor bearing comprises three ball races, each capable of supporting end thrust, and the rear bearing consists of a single roller race. Cooling air is bled off between the fourth and fifth compressor stages, and is led into the double skin surrounding the combustion chamber assembly. A small amount of air is allowed to pass into the space between the combustion chambers and the inner wall. Most of the air passes down a strut to circulate inside the "bullet" and to pass through small holes to cool the down-stream face of the turbine disc. Some of this cooling air also passes into a double skin which extends to within about two feet of the final nozzle. After the last compressor stage air is bled off internally and is taken through tunnels in two of the casing ribs to cool the upstream face of the turbine disc. More air is taken through three tunnels in the central casting into the space between the two plate diaphragms in front of the turbine; most of this air then passes into the hollow turbine nozzle guide vanes, emerging through slits in the trailing edges of the vanes. There are six combustion chambers, with inter-connectors, disposed parallel to, and evenly spaced around, the central casting carrying the rear compressor bearing and the turbine shaft bearing. They are of aluminized mild steel sheet and igniter plugs are mounted in chambers 1, 3 and 5. A fuel injector in each chamber injects fuel upstream. Swirl vanes are fitted to the forward end of each chamber, with baffles at the rear, the hot gases passing through "slot mixers" formed in the rear side wall. The hot gases then mix with the air which by-passes the combustion chambers. There are sixty-one sheet steel blades on the turbine rotor. Hollow air-cooled blades were adopted only because of the time factor in evolving suitable material to withstand the extremely high temperatures, and the necessity of conserving strategic alloying metals. These blades have forged box-section roots and are fitted over lugs formed on the periphery of the disc and secured by a 5 mm pin and a special soldering process. Mounted in the tail pipe is a movable "bullet" operated by a servo-motor controlled from the throttle lever. A rack-and-pinion device moves it longitudinally. On the ground, or idling in the air, the "bullet" is fully forward while the turbine is running up to 30 per cent of the maximum r.p.m. Between 30 per cent and 90 per cent of maximum r.p.m. it is moved rearwards to reduce the area of the jet orifice. At take-off it is near the end of its backward travel. For maximum performance in flight, above 20,000 ft and at 400 m.p.h., it is moved to the extreme rearward position to provide maximum thrust. The servo-motor control is interlinked with a capsule sensitive to ram pressure so that the position of the "bullet" is adjusted according to the ram pressure and consequently to the forward speed of the aircraft. Oil is carried in an annular nose tank. There are two pressure pumps, one of which supplies oil to the r.p.m. governor servo motor and compressor front bearing while the second delivers oil to the rear compressor bearing and the two turbine rotor bearings. A Riedel flat twin two-stroke petrol engine for starting is mounted in the air intake co-axially with the compressor shaft. From the cockpit it can be started electrically, but on the ground manual starting by means of a cable and pulley is possible. Starter motor specs : bore 70 mm, stroke 35 mm, capacity 270 cc, max. r.p.m. 10,000, output 10 h.p., weight 36 lb.